I pick another older book for my German lit month choice this is a prize-winning novel from Gisela Elsner was a member of the Gruppe 47 writers when she joined the group in 1958 alongside many of the great writers of Postwar Germany. I choose to get a copy of her book as she seems to have disappeared somewhat in the years since she died. She wrote a number of novels but her life was cut short as she took her own life. Her son is the German filmmaker Oskar Roehler he made a film that starred someone playing his mum in the early ’80s. The film Death to the hippies long lives the punks look at the time his mother and father were in Berlin this film came out a couple of years ago. Myfather is a good eater. He dosen’t stand on ceremony. He sits down at the table and tucks the ends of his napkin behind his collar. He props his palms of his hands on the table, to the right and left of the knife and fork. He raises his behind a little from chair. He leans across the table so that his napkin hangs down into his empty plate and he can see what is in the dishes. Then he lowers his behind onto the seat. then he pitches in. He serves himself with the seving fork, with the seving spoon, one forkful after another, one apoonful after another , until he has a great heap on his plate. Lothar observes his father in the opening chaptewr as he gorges himself on food. The Giant Drawf is a narrative told by a young boy called Lothar it is the view of his grotesque world. This is a slightly over the top world that is shown in the opening when he watches his father gorge himself on food. I was reminded of Homer Simpson and Bart at times in this early piece. There is him viewing the growing world of consumerism. 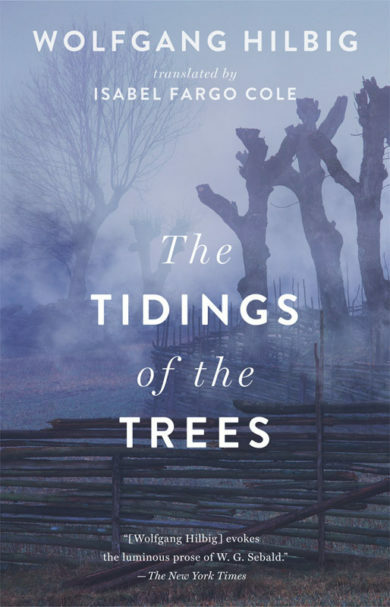 As the book is told in a series of chapters that sees Lothar observing and discovering the world like a trip to the forest which gave him his first glimpse of sexual behaviours. This is a view of Germany at the time Lothar domestic life is like many the minor problems we all have like we see with his father who can lose his temper easily. He also has a strange observation of the doctor talking about Tapeworms which seems to go over the young Lothars head at the time. A whole chapter on the top button and how they try to sort it !! a satirical piece that has a wider meaning! I have reread this for German lit month as I read it late last year and never reviewed it and had wanted to but as time flew this year I picked it up last week. 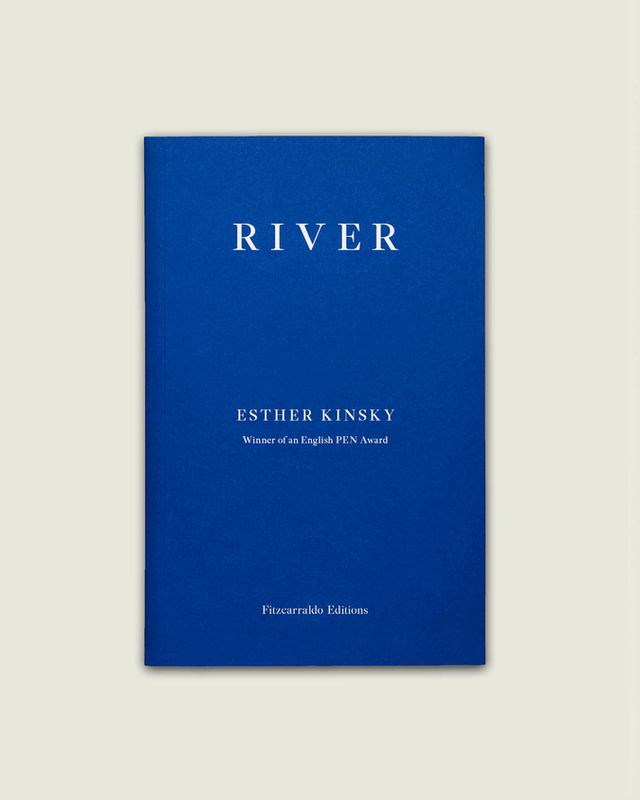 Esther Kinsky is a German writer and translator she had lived in London for a number of years with her late husband the German to English translator Martin Chalmers. In her work as a translator of English books into German she had worked on books by John Clare his journey from Esse. That follows Clare walk in the countryside of 1841. she also translated Iain Sinclair’s book which he followed in Clare’s footsteps and she has also done works by Henry David Thoreau of the books she has translated this three jumped out at me as they seem to connect to this wonderful novel. The King in the opening chapter see saw one evening a strange figure . This is one of thos novels that have no real plot it is a meandering work just like the rivers our narrator tells us about. She is a German that has ended in our capital. She has then drift to Hackney and spends her time wandering the marsh-river area around the river Lea the book and many strands all come from these meandering walks the memories of her past and time in her childhood on the Oder and the single visit of her father but then the other people she meets eccentric character like the King a Man in a headdress that I was never sure was just an imaged person a sort of modern take on the Crow King especially when she said he opened his arms and the ravens drifted around him. Or was this just an eccentric dress like a beefeater that wanders the river paths of the Lea? Then she meets orthodox Jews and other people that have ended up in this multicultural area like people from Former Yugoslavia leads to another digression to the rivers there many views of the rivers both in Europe and America she had seen over the years form a sort of memory of her life and also flow like a river as you read it. What were my memories of rivers, now that I lived on an island whose thoughts were turned seawards, where rivers looked shallow and pretty, noticable only when they frayed into flats, or cut deep channels as they flowed out to sea ? Sometimes I dreamed of rivers I had known, rivers that cleaved their wat through plains and towns, rivers kept at bay by flood defences, or which rippled through the bright countryside. I remembered ferries and bridges and endless searching in unfamilar terrain for ways to cross a foreign river . I spent my younger years by a river that appeared to me in dreams when I ran a fever. I remeber a few evening by the Rhine in my early twenties a much broader and buiser river than ours in the Uk in a way. Now anyone that follows this blog knows that this is the sort of book I am a fan of those that can not be put in a pigeonhole. I pointed out that she had translated John Clare the peasant poet and his walk of 1841 which was redone by Iain Sinclair another great writer around London and this is another grea\t view of that city from an outsiders eyes like Sebald she views the places she sees differently and drifts through time and place this is another book that would be great to map out the places mentioned on a google map guide like someone did with Sebald’s rings of Saturn if I ever have a spare week or two I may even try this myself as it made me think of the times I used to walk along the river Dane in Congleton growing up then past Alnwick castle with my first dog as I meet a whole host of people as Alnwick was always full of tourists and finally to the still canal waters of here my home and those cold mornings with my old pal Winston this is what great fictions do when a reader connects and that draws you into the tale. It has become a tradition in a way to review a Heinrich Böll for German lit month. I have reviewed five of his book before.I have a few more on my tbr pile and with Penguin putting his debut novel out. 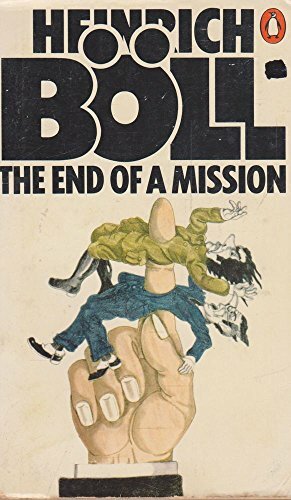 It has been over thirty years since Böll died so it nice see he is getting new attention as for me he alongside Gunter Grass was the voices of post-war West Germany. This book came in 1966a mid-career book by this writer. The evidence of the elderly Inspector Kirffel was short and to the point. He said that the scene of the crime was known to all local inhabitants for miles around as “Kupper’s tree” ; although there was no tree anywhere in the vicinity and never had been – not even in his childhood had he ever seen a tree there – he chose to use the name because it appeared on the regional maps. Herr hermes, the teacher from Kireskirchen who was such an expert on local lore, had explained the name this way; some generations ago a tree had probably soodthere , and someone called Krupper had either hanged himself or been hanged from it . The place the jeep was found was a place named after a tree that may have been there at some point !! This is maybe the most german novel by Böll I have read. The book is set around a trial in a small county court in an otherwise sleepy town and the trail of a father and son Johann Gruhl and his son Georg. The trail of these two came about as the son stole an Army Jeep near the end of his conscription in the army he takes it to his fathers and the Jeep is burned out.the jeep was found near a local landmark which is highlighted a number of times in the book. The book follows the trial the son was sent out in the jeep in a meaningless exercise to get a certain mileage on the jeep was ask to drive around but end up at his father who was in trouble with some huge outstanding bills in the family Cabinet maker business. The Jeep got burnt was this malicious or an act of art or being anti-military! The trail is held by a local judge known for being a bit of a pushover. The judge is just on the verge of retirement. So over the course of the books, we see witness setting the events first one way and then another to discover what really happened this is a comic book that also highlights the absurd nature of the state and the army at times when a system becomes inflexible. The book follows the inner working of a trail and the madness of it sometimes. Well, it is German lit month and I start with a new writer and new press for this blog I have actually read two books by Wolfgang Hilbig but hadn’t reviewed the earlier book which I hope to bring later in the month. But this is the last of his books to appear on Two line press. Wolfgang Hilbig grew up in East Germany he was initially a poet after giving up his job as a stoker. He wrote a number of works till in 1985 he got a visa and traveled to West Germany and wrote his first novel. His works look on life as a writer in the former GDR and the politics of the time. He won many prizes and wrote twenty books. The openiong lines show Waller isn’t really writing at times and also the sense that he could only writer freeier later on in his career. This novella is narrated by a shift worker called Waller. He is a man similar to the writer himself he is in his twenties as the book is written this is 1961. The Berlin wall has cut of the east german. The writer lives in the city of V with his mother on Cherry Tree Avenue where the tree has disappeared and in their place is a dump and the Garbagemen that he sees working that dump. He is writing a report and also trying to write about the disappearance of the trees. But he seems to get caught in a cycle of start with the city of w and living on cherry tree avenue but never writes any further as thou he is blocked from writing more in his mind and wanting to tell who the open pit min turn a wood into a pit and when that was used into a dump and the dump is manned by these barely human garbagemen shifting through the trash of the locals. Will Waller ever finish his writing! How long ago, I asker myself, had I last been in that area? many years must have passed, and the terrain had changed utterly. The ash had grown into an extensice plain, leveled, but in contrast to earlier times impossible to survey: it was covered in dense brush, strange weeds that stood yards tall, and nothing led through that tangle but narrow paths forming a bewildering labyrinth. I had no idea what that jungle of plants consisted of : dry, tough grass, burdock, reedd… things whose yellow flowers caught the eye at a certain time of year, scrubby mugwort, dingy goldenrod, thickets that thrived better on barren ground than in fertile soil.. The local area has been changed beyond his memories of the place and now is a barren jungle of weeds a metaphor for the GDR maybe !! There is a real darkness and sense of the world the narrator is living in the black air around him the ash that at a point he wipes of the page he is writing these mysterious figures all add to an air of a world where all is not what it seems. A world where the ground has been ripped apart I have seen the open cast pits when I lived in the northeast in the 90s, in fact, my father repaired the huge dragliners so I got to see very close an open cast from the bottom and the effect it had on the landscape but the difference here was after it was filled it was filled with water and became an area where nature flourished here we see the scars opened and the filled with rubbish and the people that live on the tip sorting the rubbish all this from the local area. This is a commentary on the way the GDR ruing parts of East Germany after the Berlin Wall was closed and ravage the land for Coal. The Huge machines that dug open the land like the Blue wonder . Then when they left the government turned it into a tip and the home waller knew when young on Cherry tree avenue is no more the cherry trees are gone. 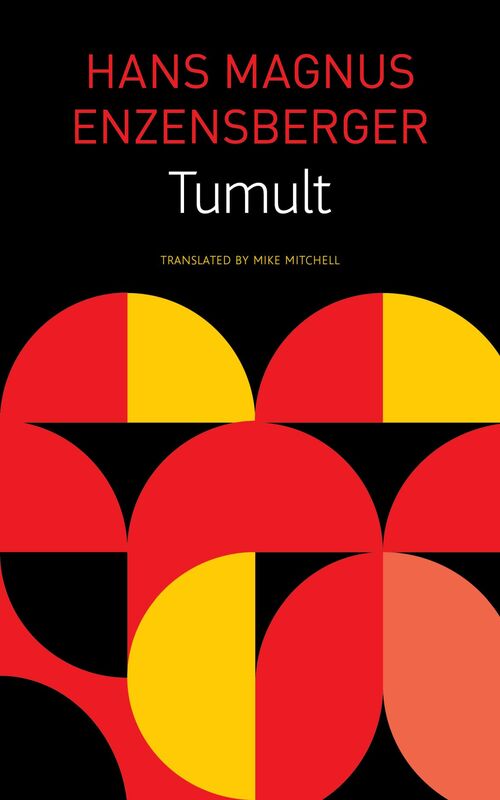 A desolate world captured in a wonderfully poetic work of despair and hopelessness wonderfully captured from one of the best writers of the later 20th century in German. Well, I decide to via of the MBI list and this is one book I have been dying to read since it arrived at Winstons towers earlier this year. It is based around Berlin which for me has always been a city that has given me as a reader rich pickings. Roland Schimmelpfennig is best known as a playwright in Germany. Where he has developed a unique style where the actors interact with the public and his stories often have surreal or fantasy elements to them. One clear ice cold… is his debut novel. A wolf Tomasz thought, that looks like a wolf, ot’s probably a large dog, who would let their dog roam around here, or is it rerally a wolf? He took a photo of the animal in front of the sign in the driving snow.The flash in the darkness. A moment later the wolf had vanished. Tomasz takes his later to be famous picture of the wolf where he hasn’t beenin a century and a half. One clear ice-cold January morning .. starts with a snowy day and a wolf is seen for the first time in more than 160 years. A Polish Man Tomasz is stuck on the motorway between Warsaw and Berlin heading back to Berlin to be with his girlfriend Agnieszka. He is a hard-working man in construction that is trying to keep him and his girlfriend together. When he looks out to the hard shoulder and glimpse the Wolf and manages to do what no-one else has so far and that takes a photo. Which he later sells as he struggles to get by and keep his girl with him. Then we have a boy and girl that are on the run and initially befriended by an older man who was a failed teacher but later drawn into just getting by on the streets Of Berlin but occasionally get some help. A woman burns her mothers diaries. A Romanian Chilean man also trying to get by in the Modern Berlin. The girls mother did nothing. It wasn’t the first time the girl had failed to come home. But that evening a woman from the police was at her front door and then the missing person announcement was issued. Yes she and her daughterhad quarrelled. A boy and girl elope to the city but will the dream of Love and everything live on. The book is told in a series of small stories as we jump in and out of the characters lives. This is the outsider’s view of Berlin like the Wolf wandering west it shows the struggles of the Modern immigrants to the city. Also like many children in the past the boy and girl seem to disappear onto the streets. Like many the classic tales of Berlin this like Berlin Alexanderplatz shows the underbelly of the city. I was remind of Wim Wenders angels wandering the city especially in the second film he made in the city Faraway so close a film which like this book shows, the unified city but also the cracks for those just getting by and like Cassiel and Daniel we jump in and out of many peoples lives as we see how all those that had been touched by the wolf whether seeing it or its tracks as they also headed to Berlin.Detached voices at times the Boy, the girl the older man all give a sense of a wider story of the modern city and the people who are drawn to it. The book is out this Thursday to try it have you a favourite Berlin-based book of Film. I read this last month but it has taken me to now to talk Insane by Rainald Goetz. He was considered a breakout writer when he wrote this book in 1983. The book is based on he experiences as a doctor in an asylum in the early 1980’s. I took time as this book in some sense is dated in its view of treatments. But in others show the same problems people tackle today in Mental Health. I work within a ward for people with learning disabilities, but also have a number of mental health issues. So the world he described is an older view of the world I work in. Another inventive German writer like Jorg fauser I read a few years ago. Let loose from the madhouse, each day in the evening. I would walk to the tunnels of the U-Bahn, not bothering to look around. Had I even caught the scent of spring? Still rattled from the journey. I made my way to my room, and nothing was as it had been before I stepped oblivous among the beer cans, bottles , newspapers and bits of clothing in the floor, qyesting aimlessly. He even is distracted in the opening lines of the book. We follow the first year in his new workplace of Dr Raspe after qualifying as a psychiatrist. As he gets stuck into the day to day world of the asylum his eyes are open to how bad the system is the range of patients the attitude of his fellow psychiatrist all start to chip away at the young man as he sees the people trying to solve the patients failing in a way. The practices in this book are long gone. We don’t chemically cosh people like they did twenty years ago and the scenes of electroconvulsive is rarely used these days. We see Raspe falling apart piece by piece as he spends his nights and weekend with his punk friends and his days getting more disillusioned with his world. A view of a world gone but also important to remember what happened to drive out Raspe. All the work of these last few weeks, all the dedication reduced to a couple of keywords, medicines, dosages: numbers from one end to the next. It’s true that there is nothing objectively graspable abput what we do save for the prescription of medicines, the constant attempt to establish the correct dosage. At the same time, Our real work vanishes behind these objective data, the conversation, the empathy, everything that for me constitues the indispensable accompanimentof medical theray. I loved this description of writing and notes, Ive seen it go from one extreme to the other in my years in care. Thou the world in this book is long gone the problem of what happens with people that have mental health issues is the same now as it was then. How we treat people is different .But there are new problems due to lack of funding and maybe also a lack of any concrete way ahead. but that is above my grade. In the book, it captures a time that has long gone but also5the day to day struggles of staff looking after people with people with mental health issues.Also the struggle of the patients. You get a sense of how intense Goetze was as a person when you see him reading at this time in the video at the bottom which shows him reading at a piece at the Bachmann prize giving at which in the middle of which he cut his head open.. A punk gesture to his intense nature and also a nod to those he treated.